Are you planning a club or professional development event and need to find an entertaining and inspiring speaker? Consider Ken. Over the years, I’ve gotten pretty good at communicating ideas, stimulating discussion and entertaining an audience. 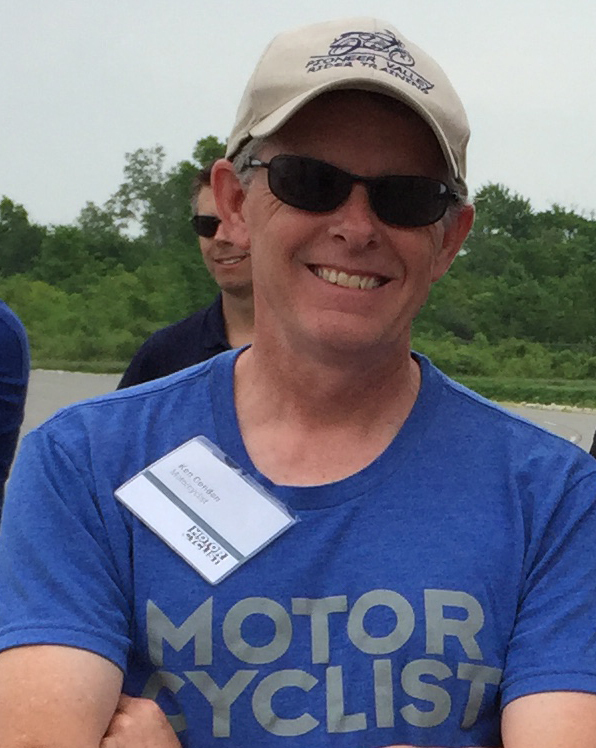 My experience and knowledge as a motorcycle safety and track day instructor and nationally-known moto-journalist and author gives me credibility to educate and inspire others to reach their potential. Whether your organization is involved in motorcycle safety, or is in the business of selling, marketing, or providing a general service, your event participants will leave motivated to find “The Zone” in whatever endeavor they are tasked to perform. New Motorcycle Safety and Skills Book! My latest book, “Motorcycling the Right Way: Do This, Not That Behind The Handlebars” is the newest how-to motorcycling book on the market. 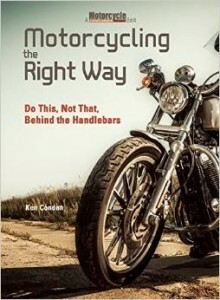 This provocative title is the basis for my most recent event presentation and is sure to generate a healthy and lively discussion about motorcycling dos and don’ts. This topic is appropriate for clubs, safety organizations and any other motorcycle-related event. I’ve spoken at a number of club and rally events, including the Yankee Beemers (Damn Yankee rally), the BMW/RA rally, The Worcester County Motorcyclists’ Survivors Fund rally (Massachusetts), Americade (Seminars and as a Featured Speaker). Modern Motorcycle Electronics: Will They Kill Riding Fun? Presentations to help your RiderCoaches expand their “Moto-knowledge”. Motorcycle safety instructors and coaches from Michigan, Maryland, Rhode Island and Massachusetts have had me speak at their annual updates. Having me attend your update will give your instructors a deeper understanding of advanced techniques and current trends. This bolsters their credibility among students, strengthens riding skills and generates enthusiasm and healthy discussion. Don’t see exactly what you want? I can create a presentation customized just for your event. Besides speaking engagements, I can facilitate a riding skills day on your school’s range. Discussion, demonstration and hands-on practice of advanced skills will quickly develop the knowledge and skill of your instructor corps. I can create a customized drill-set on request. It may be difficult for you to imagine how your company could benefit from a presentation by a renowned motorcycle safety expert. But, think about it. Motorcycling stimulates visions of freedom, personal expression, adventure, and horizons yet to be discovered. Motorcycling also demands a high level of risk acceptance, assessment and management. Those who master the art of motorcycling are rewarded with an insight for predicting and preparing for all outcomes. Motorcyclists develop mental discipline and goals for improved performance that lead to greater self-confidence and enjoyment in whatever they do in life. These are the very same characteristics business managers look for in their team members, are they not? Let’s face it, many business conferences can become same-old, same-old. While presentations by industry pros are necessary, it is also important to provide your audience with an opportunity to think and feel beyond the confines of your industry’s rules, definitions, and expectations. A fresh and unique perspective on life and business will energize and inspire participants. My easy going, yet energetic presentation style will inspire your staff to reach higher, look farther, envision possibilities, and perform better. Optional components can be arranged to bring your event to the highest level of excitement and participation. Please Contact Me to discuss your needs and to get your event on my schedule. I am the Safety Officer for the Hunterdon HOG Chapter, located in Lebanon, NJ. We have just over 200 members. We usually have 60 +/- attend any given meeting. I’d like to see if you would be available to speak at one of our winter meetings (Jan, Feb, or March). The meeting are usually the 2nd or 3rd Sunday in the month, and start at 9 AM. Meeting are held in the Williams – Harley Davidson showroom, on Rt. 22 in Lebanon, NJ. I’m looking forward to the event in March. We put on the Timonium Motorcycle Show in Timonium, Maryland, one of the largest Motorcycle Shows on the east coast. Our upcoming show is Feb. 10-12, 2017 and this will be our 15th year. Within our Motorcycle show we have a Travel, Touring & Adventure Feature Area where we host speakers – some of the top adventure riders and tour experts – but thought you could be a good speaker for us to. My boss, Rich Kohles, would love to speak with you for a few minutes…wondering if you could send me a good phone number for you?